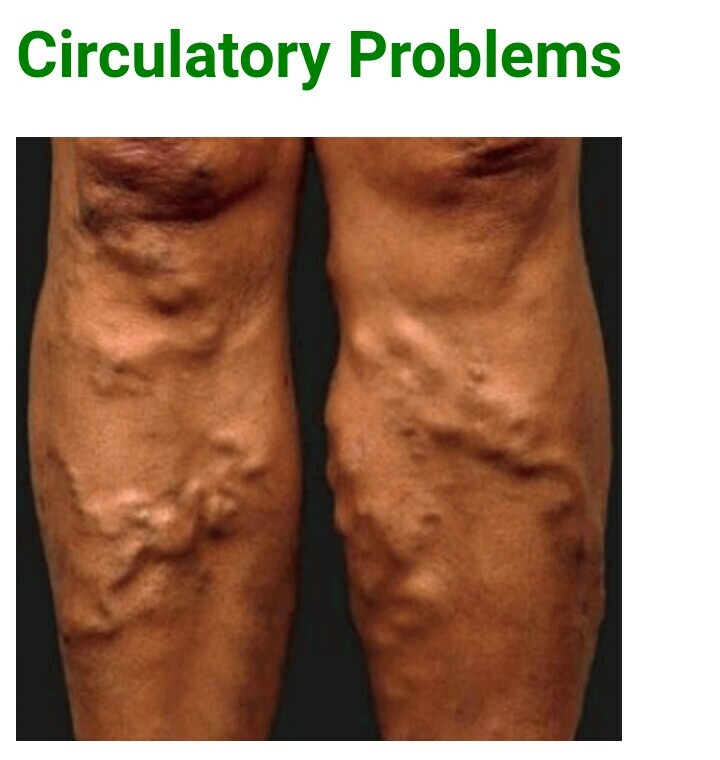 No discussion of the circulatory system would be complete without mentioning some of the problems that can occur. As mentioned earlier, several problems can occur with the valves of the heart. Valvular stenosis is the result of diseases such as rheumatic fever, which causes the opening through the valve to become so narrow that blood can flow through only with difficulty. The result can be blood damming up behind the valve. Valvular regurgitation occurs when the valves become so worn that they cannot close completely, and blood flows back into the atria or the ventricles. If the blood can flow backward, the efficiency of the cardiac stroke is drastically reduced. The coronary arteries are also subject to problems. Atherosclerosis is a degenerative disease that results in narrowing of the coronary arteries. This is caused by fatty deposits, most notably cholesterol, on the interior walls of the coronary arteries. When the walls become narrowed or occluded, they reduce the blood flow to the heart muscle. If the artery remains open to some degree, the reduced blood flow is noticed when the heart is under stress during periods of rapid heartbeat. The resulting pain is called angina. When the artery is completely closed or occluded, a section of the heart muscle can no longer get oxygenated blood, and begins to die. This is called a heart attack. Only quickly restoring the blood flow can reduce the amount of heart muscle that will die. At times, the walls of the systemic arteries become weakened. When this occurs, the wall may balloon outward, much like a weak spot in the radiator hose. This called an aneurysm, and is an extremely dangerous condition. Like a radiator hose under pressure, the wall can rupture. Blood can then spill out of the circulatory system into the body cavity. Oxygenated blood is pumped from the heart along arteries, which are muscular. Arteries divide like tree branches until they are slender. The largest artery is the aorta, which connects to the heart and picks up oxygenated blood from the left ventricle. The only artery that picks up deoxygenated blood is the pulmonary artery, which runs between the heart and lungs. The arteries eventually divide down into the smallest blood vessel, the capillary. Capillaries are so small that blood cells can only move through them one at a time. Oxygen and food nutrients pass from these capillaries to the cells. Capillaries are also connected to veins, so wastes from the cells can be transferred to the blood. Veins have one-way valves instead of muscles, to stop blood from running back the wrong way. Generally, veins carry deoxygenated blood from the body to the heart, where it can be sent to the lungs. The exception is the network of pulmonary veins, which take oxygenated blood from the lungs to the heart. Blood pressure refers to the amount of pressure inside the circulatory system as the blood is pumped around. 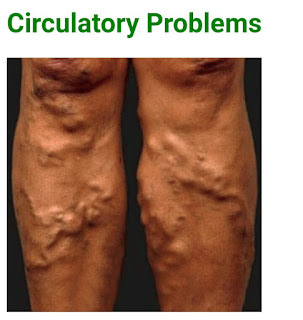 Varicose veins – problems with the valves that stop blood from running backwards. The circulatory system delivers oxygen and nutrients to cells and takes away wastes. The heart pumps oxygenated and deoxygenated blood on different sides. The types of blood vessels include arteries, capillaries and veins.